Electrical work can be both difficult and dangerous – which is why it’s always wise to consult an expert. But how do you know that you’re getting in touch with the right person? 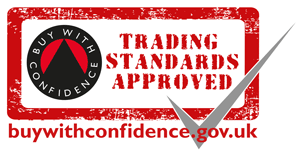 With rogue traders still at large, it’s worth following some simple steps to make sure you pick a qualified, experienced electrician who knows what they’re doing. “At the very least, cowboy electricians rip off customers and, at worst, there could be fatal consequences if work is not done properly or safely,” explains David Pollock of the Electrical Contractors’ Association (ECA). The ECA suggests always looking at around three different companies when comparing costs and services and taking ultra-low prices with a pinch of salt. Never pay upfront as a reputable electrician would not expect money before completing any work. Recommendations from friends and neighbours can be a good source of information, and if you choose to look further into a particular firm make sure you ask lots of questions about its experience, references and professional memberships. Qualifications are also important – ensure your electrician has been certified as a Competent Person. If you’re worried about things going wrong, check that your electrical contractor has the right insurance and ensure all of the details of your dealings are put on paper in the form of a contract before work gets underway. The Electrical Safety Council also recommends asking about the electrician’s complaints procedure and always asking for receipts.